After graduating NYU Pre-Med/Psychology, Pavan Thimmaiah decided to pursue his dream of becoming a dancer instead of following his lifelong goal of becoming a physician. Pavan has gone on to create a successful dance career highlighted by him founding PMT Dance Studio and the PMT Dance Company. Not only is Pavan the first Indian-American to have choreographed for a major US recording artist, but he and his work has been featured in numerous publications, including Dance Teacher, Dance Europe, Dance Mogul Magazine, The Dance Gazette, Attitude Dancer’s Magazine, Staten Island Advance, Huffington Post, Gothamist, Washington Square News and more. He is also the choreographer and organizer for the Guinness Book 'World's Largest Street Dance' - set on 9/9/2015 on the Today Show. Pavan has trained, performed with and choreographed for many popular artists such as Vanilla Ice, Stefani Vara, Alex Feder, the XYZ Affair, Matt Palmer, Apache Indian and Sean Paul. He has also appeared on TV programs such as the Conan O’Brien Show, Breaking Amish (2014) and on CNN and MTV. He's perhaps best known as the resident choreographer and performer for NBC’s The Today Show, which he has enjoyed since 2010. In 2016, he was a 2x's featured guest & performer on NBC Louisiana's 'Studio 6'. He was a recipient of the prestigious Clio Award for The MCA Day Beastie Boys Tribute video that he choreographed, "Union Square Bboy Monks". This video went viral, garnering attention & acclaim from various media outlets with millions of viewers worldwide. It became a top trender for 2014. Additionally, Pavan has found success working with companies and individuals, large and small, with flash mobs and marketing campaigns that utilize dance as evidenced by his work with Gendex & Transfast. Pavan's success ranges past the commercial world. Through PMT Dance Company, he has found success by incorporating musical theater, various dance styles, elaborate storylines and original music into his dance productions. PMT Dance Company has been the featured act at many prestigious venues including the Toronto National Exhibition, The International Dance Festival (NYC–Duke Theater), the Ailey Citigroup Theater and as the opening number in the Bollywood International Movie Awards (2003 – Trump Taj Mahal – Atlantic City). In 2008, PMT Dance Company performed its first independent production, which was featured on the Sundance Channel’s “Young Revolutionaries.” In 2014, PMT Dance Company opened their full production of their critically acclaimed show “Struck” to a sold out show in NYC, which was followed up with 2 half-time show performances at Madison Square Garden for the NY Liberty (2014, 2015) and two features on the Today Show and performances at various venues in and outside of NYC including at Glens Falls and Johns Hopkins. Pavan’s proudest accomplishments are his students and an educator. This is seen through PMT Dance Studio where he implemented Performance Program and Open Sessions that have since been widely duplicated. 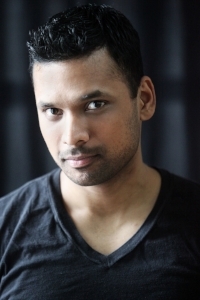 Although he has been referred to as a ‘celebrity choreographer’, Pavan has established a successful practice giving private lessons to persons of all backgrounds and goals as well as group lessons for all who have a desire to learn. Some of his success stories as a teacher and mentor include dancers like Alan Watson, Lara Duncan, Devynn Brooks, Maria Molina, Mattison King and the 2012 'Stars of Tomorrow' Apollo Theater Champion 8-year old Kai Rivera. He strives to find the right way to get the most out of every student’s potential. His past teaching credits include the Alvin Ailey School (Extension Program), UC Irvine, Peridance, Ballet Arts, New York University, Long Island University, Wadleigh School for the Performing Arts as well as the School of American Ballet as a guest teacher. Pavan continues to be a guest speaker and teacher at conferences and dance seminars across the US & Canada.